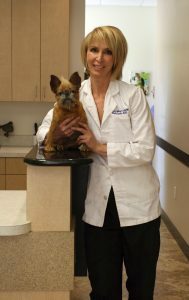 Dr. Warren earned her veterinary degree from Texas A&M University. She completed an internship in Small Animal Medicine and Surgery and a residency in Small Animal Internal Medicine at Washington State University. She then became a resident in the Veterinary Ophthalmology program at University of Florida under her mentors Drs. Gelatt, Whitley, Miller, and Carrier. With completion of the residency, Dr. Warren became a board certified Diplomate of the American College of Veterinary Ophthalmologists and has worked at private specialty practices in Arizona and Florida. Dr. Jo-Ann McKinnon received her Doctor of Veterinary Medicine degree from the Ontario Veterinary College, University of Guelph, Guelph Ontario, Canada. 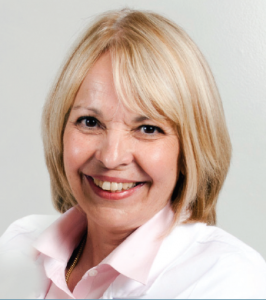 Following several years in private practice, Dr. McKinnon had the opportunity to pursue her interest in ophthalmology in the United Kingdom, completing the Royal College of Veterinary Surgeon’s Certification in Veterinary Ophthalmology. Dr. McKinnon completed an American College of Veterinary Ophthalmology residency at Iowa State University, College of Veterinary Medicine. Following completion of the residency, Dr. McKinnon became a board certified Diplomate of the American College of Veterinary Ophthalmologists. She returned to private practice upon completion of the residency, working in private specialty practices. Dr. McKinnon is a golf enthusiast, and southwest Florida suits her well.